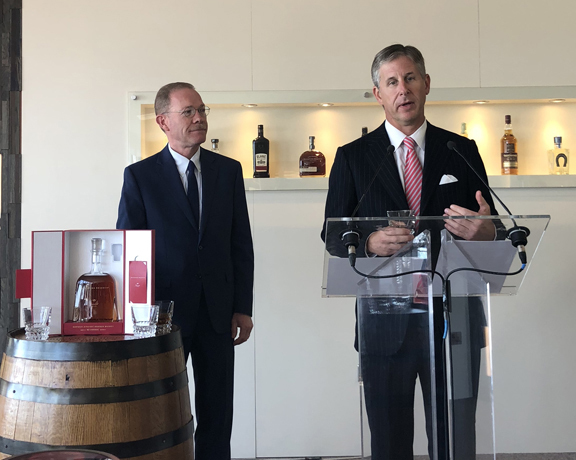 Woodford Reserve Master Distiller Chris Morris and Marshall Farrer, SVP and MD of Global Retail Travel for Brown-Forman conducted a special tasting of the new cognac-finished bourbon at the launch event at the TFWA World Exhibition in Cannes. Woodford Reserve has announced the launch of Woodford Reserve Baccarat Edition, a limited edition bourbon available for $1,500 a bottle exclusively in Duty Free stores for one year starting May 2019. Woodford Reserve Master Distiller Chris Morris conducted a special tasting of the new cognac-finished bourbon at the launch event at the TFWA World Exhibition in Cannes. The 90.4 proof bourbon, which is further aged in hand-selected XO cognac casks, is the first and only American whiskey to be bottled in Baccarat crystal. 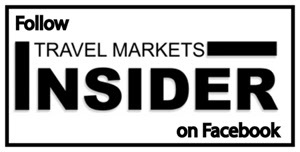 “We are launching this luxury product in travel retail because sophisticated consumers are seeking premium brands — and Woodford Reserve leads the ultra-premium bourbon category globally,” said Marshall Farrer, senior vice president and managing director of Global Retail Travel for Brown-Forman. 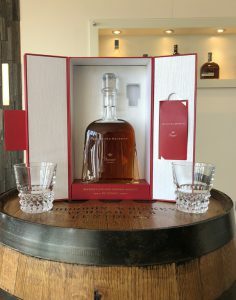 The bottle design is meant to evoke the iconic Woodford Reserve bottle silhouette and is engraved with both Woodford Reserve’s and Baccarat’s logos. It is presented in a signature Baccarat red box with sleek multi-dimensional doors that rotate upon opening and includes a crystal stopper adorned with Woodford Reserve’s initials.